Lost for inspiration when it comes to taking an assembly? Now you need never worry again about holding a meaningful and enjoyable assembly. Tap into children’s enjoyment of singing with 21 new songs and assemblies. There’s no need to be a music specialist as piano accompaniment for all of the songs is provided on the CD-ROM along with sung versions to make learning them easy. Song lyrics can be printed out or be displayed on a projector – perfect for use in the school hall. Visual resources can be used to create a multimedia presentation for your assembly at the click of a button. All of the assemblies have a clear Christian element in order to fulfil the statutory requirements requiring a daily act of collective worship, but guidance is also provided to show how they can be easily adapted to be used with multi-faith groups. John Watkinson is a former ICT advisory teacher and primary head. He has always been passionate about encouraging children to make music and during his time as a headteacher he was also Chairman of Chesterfiled’s annual Primary Schools’ Music Festival. He is an accomlished musician and experienced choir master. 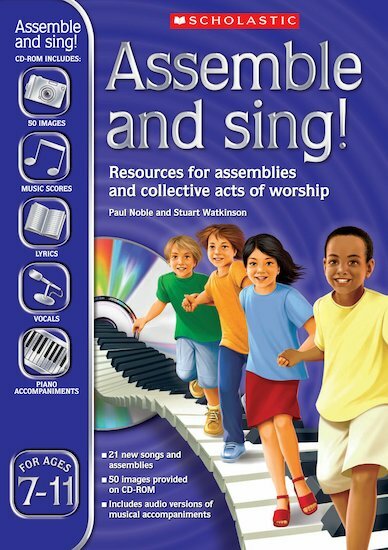 I think this book is really good because it can get kids into singing. 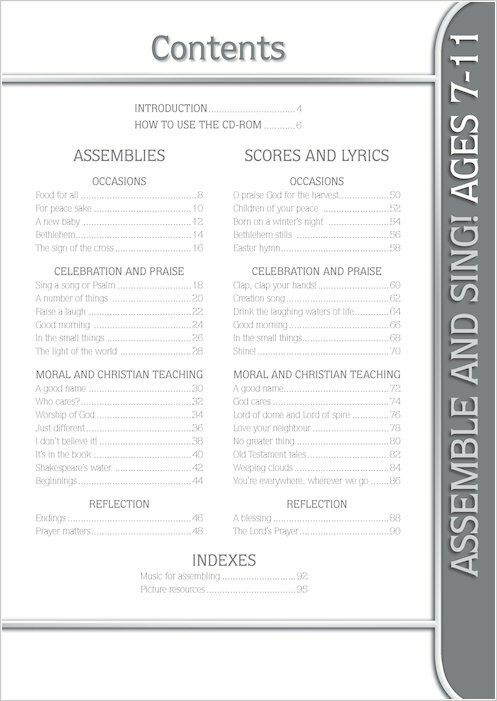 What are the minimum system requirements for the Assemble and sing! CDs? PC or Mac with CD-ROM drive 48x and 512Mb RAM. PC – Windows 2000 or higher, Pentium 2 [or equivalent] processor 400 MHz. Mac – OSX, G3 processor 400MHz.